Motorola Moto C lowest price in Pakistan is Rs. 9,999. The price was updated on 24th April, 2019. You can read price, specifications, and reviews on our website. Generation after generation, Motorola brand has progressively upgraded itself with its handsets like Moto G4 and Moto E4. And at the same time, the smartphone has become democratic throughout the world. So much so that the brand has launched a new series even more low cost. to fill the void left at the bottom of its range. The new C series is manufactured to fill the void left at the bottom of its range. With Moto C and Moto C Plus, Motorola is penetrating the low range users’ market. Since the emergence of Motorola has remained a pioneer of sleek and shiny design and Moto C is not an exception. Despite being a low range handset, the phone brings all the feel of high-end mobile phones. It has the 5-inch screen with FXVG display with a resolution of 854×480. It weighs only 154 grams with a thickness of mere 9mm. the phones come in three colors, i.e. metal cherry, refined gold and glittering black with a micro-textured back shell. Due to the low price, Moto C has a low-cost chipset from MediaTek. The phone comes with 1GB of RAM with a variant of internal memory, i.e. 8GB and 16GB. Moreover, it has 2350 mAh battery, which may not fulfill the demands of heavy users and multitaskers, but being a low-cost mobile, it surely works seamlessly for an average user. The smartphone comes in two versions: a 3G version and a 4G version. The first has a quad-core 32-bit clocked at 1.3 GHz, while the 4G version works with a quad-core 64-bit clocked at 1.1. Note also that only the 4G photosensor has an autofocus (the 3G version has a fixed focal length). The Moto C on Android 7.0 Nougat includes 4G, WiFi, Bluetooth and GPS connections. It includes a USB 2.0 port, a 3.5 mm jack and two SIM ports. In the photography section, Moto C has some decent specifications. The 5-megapixel rear camera clicks crisp photos in daylight, while the LED flash lets you take pretty decent pictures in low light as well. On the front side, you have 2 megapixels to click some awesome selfies with friends and families. 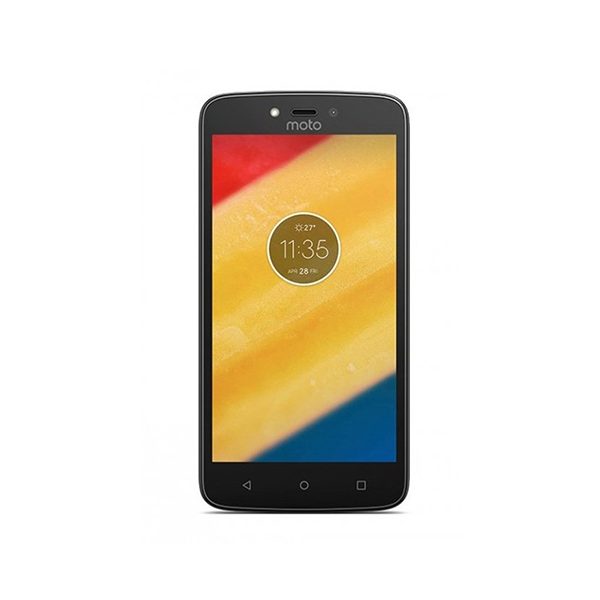 - The latest price of Motorola Moto C was obtained on 24th April 2019. - Buy Motorola Moto C online in Pakistan for the lowest price. There are different payment options for online buying. You can also avail the options of Cash on Delivery (COD) and Online Credit Card Payment on purchase of this product.